One of the joys of listening to and being involved with the community around the Spybrary podcast has been discovering books I might never have heard of otherwise. Clive Egleton’s The Russian Enigma (aka Pandora’s Box) is just such an example of that, having been posted about by C.G. Faulkner whom I had the pleasure of meeting (alongside other Spybrarians) at last spring’s Spy-Con. Though it took me almost a year to get the opportunity to read it, I recently was able to. 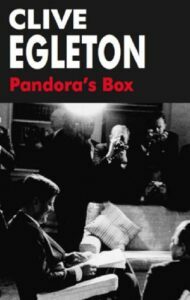 Egleton tale is one set among early 1960s Cold War intrigue with the Cuban Missile Crisis acting at the historical backdrop for the piece. At its heart is Charles Winter, a longtime head of a section within Britain’s MI6 whose longtime double agent Deakin dies under odd circumstances during a seaside stay. When Deakin’s KGB recruiter nearly gets killed defecting in New York, things seem even stranger. As the CIA works to determine if their new defector is genuine, Winter and his section work through Deakin’s past. With a showdown over Cuba looming, just what is going on becomes the question at the front of Winter’s mind. The 2008 reprint of the novel under the alternate title Pandora’s Box. Egleton crafts a tale that neatly works in real-life events with his fictional characters. Indeed, half the fun of reading the novel is spotting the references. Not only is there Cuba but events in the Middle East, Oleg Penkovsky’s spying inside the Soviet Union, and paranoia about moles inside Western intelligence that feels right out of the mind of James Angleton even if he never makes an appearance. There’s even one last fact-based twist that swiftly made me look at some conversations in a different light and made me wonder if Egleton intended to write a sequel he never quite got around to doing. Whatever the case, it makes the novel an intriguing blend of fact and fiction. Egleton also avoids the trap many authors writing a series fall into so often. That is of authors assuming readers will have read the previous book or books in a series. Winter and his colleagues appeared in his previous novel The Eisenhower Deception (aka The Winter Touch, aka The Presidential Affair), so it would have been easy to assume readers knew who they were. Egleton to his credit does not make that assumption once in the novel. Instead, he concisely takes a paragraph or two to fill in characters (and by extension readers) of what came before. It’s helpful, to say the least, for someone such as myself who often gets frustrated with book series. 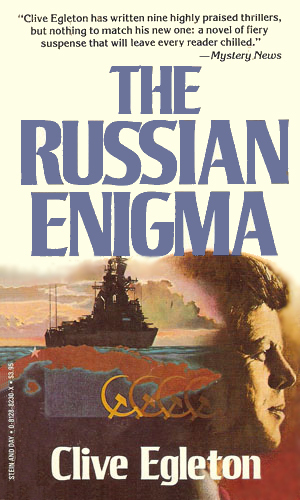 At the end of the day, The Russian Enigma is well worth a read for anyone who counts themselves a Cold War spy reader. 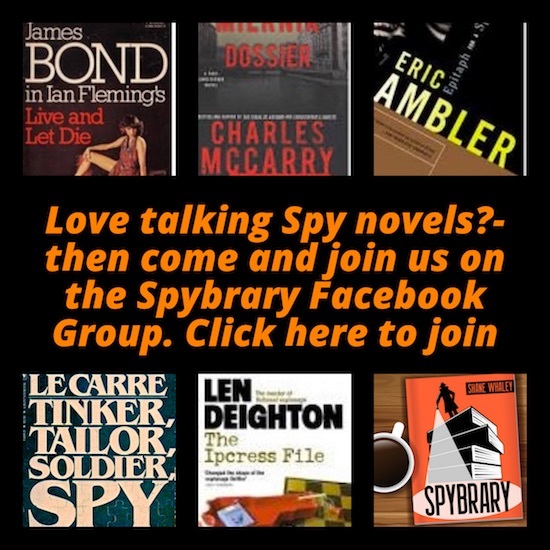 It combines real history and fictional characters with an intriguing narrative, the result being an immensely readable tale of spies, defectors, and intrigue. In short: a blast from the past that won’t set your wallet back too much. What more could ask from an old book?